He was very knowledgeable and helpful. I purchased this car for my 16 year old daughter and he explained everything that she needed to know in simple terms that she could understand and was very patient in answering any questions that we had. He was an excellent salesman and was very customer service oriented. – – Jeffrey A., October 2014I look forward to getting my service done. Richard and Paul are great, greet me by name and get me taken care of. Rocky Moore did an excellent job. This is our third vehicle we have bought from him. I drove 900 miles to buy my Ford Raptor and traded in my 2011 Raptor. Everything was ready for me and only took 30 minutes for paper work and loan. I cannot explain how great that is. This was our third experience with Butler Ford and also our third experience with the Salesman involved. We feel comfortable and confident with the purchase. Loved working with Rocky. Great salesman. Both the salesperson Rex and the sales manager, Joel, provided excellent customer service. This experience was the best dealer sales experience I have ever had in purchasing a new car. Thoroughly enjoyed working with our salesperson (Rocky Moore). He’s the first ‘real’ sales-person I’ve run across in a lot of years! So, that says a lot about the dealership, plus, I & the wife got to meet the owner who seemed to be a real genuine person as well!! Rocky explained the workings of the Sync system, totally adequately & thoroughly. We were quite impressed with our treatment @ Butler Ford. THANK YOU. The guys were very professional and helpful, and had the service done faster than the estimated time. Very nice! I enjoy my experiences at Butler Ford. A very nice family atmosphere. Our salesman went above and beyond to find what we wanted which make us very happy. I can’t express enough how well I am treated as a customer of Butler Ford. I really do feel like I am part of a family. From the first time I had service performed there on my truck, they have remembered me and the special requests that I have when I come in. I would really like to commend everyone in the service department, and also Rocky and Drew in the sales department, who went the extra mile to show me how to use all the neat things that my vehicle will do. Everyone at the dealership gets a big thumbs up. I love Butler Ford. As a single woman, they give you the ultimate respect and kindness. They are thorough and I trust them completely. I will buy another car from them. Rex was a great sales person. Had the best buying experience I’ve ever had with him. No pressure and just trying to make sure I got what I was looking for. – – Sharma P., September 2014I shopped around and even went out of state. No one could match the help, expertise, and knowledge of the (Ford) Transit as well as Rocky Moore and his associates. This is the reason why I came back and bought the vehicle from [them]. I absolutely love it! FANTASTIC SERVICE ALL THE WAY AROUND! Rocky and Rex are excellent people and salesmen. The staff is top notch, best service I’ve ever had. The Butler Ford group really cares, from their lot person to management. Always a good experience at Butler Ford. The sales staff was courteous and professional and very pleasant to work with. When we buy another car we will go to Butler for it first. The entire staff made us feel as though we were important to them. Very good. Rocky was respectful and helpful. Would not go anywhere else. Everyone is very nice. Rocky Moore, our sales person, was professional, courteous, very knowledgeable, and made the entire experience at Butler Ford extraordinarily easy and enjoyable. Rikki in the finance department was also well-prepared, explained everything well, and made that process simple and very understandable. We’ve already recommended Butler Ford to friends as “the place” to buy a car. I would like to thank two people for excellent service. First, Rex Cunningham who started working with me, and especially Rocky Moore whom I [bought] my Escape from. The best car buying experience we have ever had. Rocky really made it a great experience with no pressure. He was a pleasure to work with. Drew and Joel at Butler Ford were great to work with. They made the experience a good one for both my wife and I. Rocky Moore was patient, kind, and caring. He went out of his way to introduce me to all the new features of the 2014 Explorer. I enjoy and love my new car. And Judy Tucker in Titles was a great help in solving a problem. I’m 73 and have purchased autos from eight dealers. Butler Ford is the best of the bunch. Butler Ford is a great place to do business and I will work with them again. Dave Peterson is a great person to work with. Everyone at the dealership was incredibly friendly and helpful, especially Rocky. They made sure I had everything I needed in a quick, efficient manner. What a fantastic experience! The work was started almost immediately and therefor the wait time was relatively short. The friendly and knowledgeable staff makes my service experience easier. They have good communication skills. If your service is going to take longer, they come and tell you instead of just leaving you waiting. – – Pamela C., July 2014Andrew Bechard was an awesome sales man! He went above and beyond to find the exact vehicle I was looking for! I love the car!! – – Sara B., July 2014The service department at Butler Ford is excellent or I wouldn’t have my vehicles serviced there. It is,and always has been a wonderful experience and I can always depend on the work being done right the first time. The complete service department is a class act. I thoroughly enjoy Paul and Rich the service advisors. Great people. – – Joseph T., July 2014Great place. Great people. Great truck. – – Thomas C., June 2014Phenomenal. Rocky Moore [was] great to work with. Very professional. Very personable. Very knowledgeable and treated us with utmost respect. Excellent overall experience and I would recommend him to anyone buying or leasing a car. Rex Cunningham was an exceptional and very knowledgeable person especially with regard to the Energi that we leased. Also Rickki was very clear and helpful with the financial options. [Butler] ranks with the best I’ve had. We will only buy from Butler Ford!! We love the dealership and have now purchased two vehicles from them. Excellent experience from beginning to end!!!! Love them!!!! Simply the best. Nobody ever attempted to make me feel bad and I was treated with the utmost respect. Thank you to my salesman Rocky Moore!!! I’ve been purchasing new cars for my personal use since 1978, and this was the smoothest, least stressful, and most satisfying purchase yet. Butler treats their customers with the Golden Rule in mind, and it shows. I will return. This was the best car buying experience I’ve ever had. All the way from my salesmen (Drew and Mike) to the sales manager (Joel) and even the dreadful part of doing the final paperwork with Rikki. I will definitely purchase my next vehicle from Butler Ford and encourage anyone else in the market to consider them, also. I appreciate the friendly, knowledgeable staff. I appreciated the no-pressure team at Butler as I made my choice – also their desire to meet my needs. The day long experience was pleasant – not what I had expected from previous car purchases elsewhere. Thank you to all the Butler Team. Very happy with [the] service department. Paul is the best service advisor I have run into in my 45 years of dealing with dealerships. Good service, courteous help, convenient location. I will continue to have my CMAX services there. We have not purchased a car of a number of years but the salesman at Butler Ford (Andrew Bechard)made the process easy. From the outset, Andrew thoroughly explained what we were looking at, the differences between the styles and models, and provided us with the necessary information to make an informed decision. We would recommend Butler Ford to our friends and family members. – – Robert S., May 2014 I purchased a 2014 Ford Expedition from Butler Ford in May 2014. In performing a detailed internet search, I discovered the vehicle on Butler’s lot was the nearest one to me configured exactly as I wanted. So it was pure chance that I had the opportunity to deal with Butler and with the sales manager Joel, and salesman Rocky. Perhaps it was fate, but in my 30+ years of purchasing vehicles, I have never before had such an overall positive experience as this transaction. We agreed on the price over the phone, I received zero “sales pitches” to order any additional or unwanted products or services. I flew down from Seattle. Rocky met me at the Medford airport and drove me to the Butler Ford dealer, where the paperwork was signed and I received a very educational tour of the vehicle and its capabilities, including setting up the SYNC system. I took the vehicle on the back roads, and drove it gently to break it in properly during my return trip home. I love this car! I wish I lived a bit closer to Ashland, but I sincerely hope to do business with Butler Ford again in the future. This is how car buying should be–treat the customer in the same way as you would want to be treated. – – David A., May 2014Great experience getting our new Ford Edge! Rocky Moore was able to pull some things together for us to make it happen when we didn’t think we would be able to. He is quite the gentleman, and quite the professional. Hate shopping for cars, loved working with Rocky! – – Steve K., May 2014I worked with Rocky Moore at Butler Ford to get a great deal on a brand-new 2014 Kia Soul. I highly recommend you contact Rocky if you are looking to purchase a new or used vehicle. Rocky is very knowledgeable about the auto industry and can answer your questions. Overall, I was impressed with the great staff at Butler Ford in Ashland. I’ll definitely go back there when I’m in the market for another new vehicle. – – Dan M., May 2014My wife and I have purchased several vehicles from Butler Ford over the years. Most recently a Ford F-150 and a Kia Soul. Our top priority is an honest, up-front, no-pressure, and knowledgeable sales person. Rocky Moore fits that bill better than anyone we’ve ever dealt with. He treats us with respect and asks great questions about what we are looking for in order to get us into the right vehicle. We’ve had poor credit in the past, and have great credit now, but we were treated to the same top-notch professionalism. I’d buy from Rocky and Butler again without hesitation. I loved my buying experience at Butler Ford, Ashland. This is approximately my 51st vehicle (new & used), so I have gone through the process before. By far, this was the most pleasant one yet, due mostly to my wonderful salesperson, Rex Cunningham, and the finance guy named Jon. I live in California and was visiting my mom in Oregon when I decided to look at something other than a foreign car this time. Rex let me take the car on a road comparable to what I was used to driving, which was extremely important to me. His knowledge about the vehicle was beyond compare! I highly recommend Butler Ford for a car buying trip filled with ease and professionalism. If you love cars, Butler Ford and their staff will find the perfect one for you! Over the last year I have had several occasions to do business with Butler Ford and Acura in Ashland. With each visit I have been warmly greeted and make to feel at home. In that time, Warren, Joel and Peter, I have proven to be helpful and considerate business leaders who truly have the customer’s best interest at heart. Highly recommended. The staff was very friendly and helpful on everything. Jon Bowman was the best salesman I have ever had. He was kind, respectful and able to answer all my questions. Mike Cocchiara is an excellent salesman who has an outstanding knowledge of the Ford product line that made leasing a new Ford a wonderful experience. 2013 Mustang hit by a big rig on I-5. Body work done at Butler Ford. Super happy with the repair in the Body shop. I can’t even tell anything ever happened to the car. The paint work was superb! My overall Butler experience has been great. From buying the truck clear through service, it has been a great experience. They make the whole experience a pleasure. This was the third Ford vehicle that we purchased from Mike Cocchiara and our fifth from Butler. Mike and the entire Butler team are great to work with. We always recommend Butler to our friends. Totally impressed. Other dealerships have tried to sell me a vehicle, Butler Ford focused on helping me buy one. Mike is a very knowledgeable and professional salesperson. We will definitely recommend Mike and Butler Ford for purchasing a vehicle. Emailed dealer at 8am, dealer called at 9am, appointment at 10:30am, signed papers and took possession at noon…..wow!! Jon Bowman is a great salesman. I never felt pressured and he worked so hard to get us approved and even made sure he got the deal done and was able to call me on my birthday to give me the great news. I have been a customer of Butler Ford for years. Their staff is great, they know my name and my vehicle. I feel that I will be taken care of at Butler Ford. Love the people there. They know me by name and always make check-in and service enjoyable. Butler Ford has a great group of people. Rocky Moore of Butler Ford was excellent from start to finish. We love Butler Ford and went back to them specifically to buy this car. This makes our fourth purchase from Butler. We travel from Klamath Falls to do business with them because they are fair and honest. Rex and Rocky helped us get the vehicle we wanted and it was painless and easy. We felt like they gave us a fair deal and we couldn’t be more pleased. The salesman was great, no pressure when buying. Great experience, which we have come to expect from Butler Ford. A wonderful group of people to work with. Very courteous techs, knowledgeable on servicing and maintenance. – – Michael M., December 2013Always exceptional. I love my truck and Butler Ford. There were three key players during my sales experience that I would like to acknowledge for their professionalism. Rocky Moore (Floor Sales Manager) was extremely courteous when we arrived to look at our vehicle the first time and provided telephone follow-up with no undue pressure. Andrew Bechard (Sales Consultant) was very knowledgeable about the Roush Stage 3 and did a great job during my test drive and orientation of the vehicle and maintenance service center. And finally, Rikki Fraughton (Finance Director) for his patience and flexibility during the financial process. His trust and confidence that he displayed toward me was awesome and allowed me to take possession of the vehicle far before what I was expecting. Thank you all for a great car buying experience. I love my new Roush. It is incredible to drive and turns heads wherever I go. The service people are outstanding! I had a great experience at Butler Ford. Butler Ford is a GREAT place to buy a car! Courteous and happy to help. No pressure. Those guys are terrific. [They] got my truck finished quicker than they said [and were] very polite, friendly and trustworthy. Rocky was great. I really enjoyed working with him. Great experience. I would recommend Butler Ford to my friends. Very pleased with all paperwork, loan, and registration all taken care of in one visit. Mr. Andrew Bechard was very knowledgeable in the Ford F-150, professional, and personable in our purchase. – – Steven D., November 2013We couldn’t has asked for a better buying experience. Thanks, Butler! – – Byan C., October 2013Very happy with the F-150. 5th F-150 purchased through Butler Ford. 2 1/2 hour drive but worth the time. – – Alex O., October 2013Salesman Rocky Moore is the best salesperson I have ever dealt with. This is the second time we have purchased from Butler and Rocky was the salesman both time. We plan on seeing him when it is time to get my wife’s car replaced. – – John M., October 2013Excellent team at Butler Ford. Exceeded my expectations and is the best team I have dealt with. – – Scott N., October 2013Everyone, and I mean everyone, was so helpful and friendly and went above what I would have expected on helping me. And I love my car!! This is the second vehicle that we have bought from Butler Ford, and from the same sales person. If we had not been completely happy with the first purchase we would not have returned for this purchase. Rocky was very helpful with both purchases. Could not have been better. It was the best buying experience that we have ever had. My sales person, Mike Cocchiara, was excellent. He has followed up with me and answered several questions I had long after the sale. I would recommend him to everyone I know looking for a vehicle. Rocky Moore did a great job helping us purchase the Explorer. Joel Nickerson did a great job explaining pricing. We will be back to buy again! Other dealerships don’t hold a candle to Butler Ford. I drove 80 miles to buy my truck. We have bought two vehicles from Butler and plan to buy more. We will be sending our friends and family there, as well. Thank you, Butler! The sales team at Butler Ford was excellent. I purchased my vehicle from out of state. Butler Ford (Rex and Mike) made sure that my vehicle was clean, ready, and moved me quickly through financing. There were no unpleasant surprises and I was quickly on my way home in my new vehicle with a huge smile on my face. The sales manager stayed late to accommodate my work schedule on a Sunday evening, as did the service and finance workers. I was given the right information and choices to make my purchase a satisfactory one. We were surprised and pleased to find out that Butler Ford offered us several more free oil changes and inspections. I enjoy working with Butler Ford’s service team. We loved our experience with Butler and had the best sales person ever. Rocky Moore made things simple and was so helpful in getting us the best deal possible. We’d buy again from Butler. In my opinion more Ford dealers should take a page from [Butler Ford sales consultant] Mike Cocchiara’s playbook when selling vehicles. He’s a class act who likely deserves a raise. Great people, namely Jake and Rocky. Very helpful and caring, not the shark-like individuals just wanting to make a buck at other dealerships. Felt like they were friends instead of salesmen. I received the computer update for the Ford Escape and brought the vehicle in today. What a great group of people. They had a loaner car so I could go on to my appointment in Ashland. Joel, Rocky and the service department did everything just right…including reprogramming my phone back to the vehicle. You have a great dealership and great employees! If I knew how to tweet or twitter I would tell the world…but an e-mail is all I can manage. – – Nancy B., September 2013Rocky was wonderful and very helpful. He found the vehicle I wanted quickly. – – Gerald H., August 2013Efficient. Professional. – – Ronald W., August 2013Very helpful. Rocky was very helpful and a great salesperson. It was a great experience to work with him. Young man greeted me and asked what I was looking for. He then took me across the lot to the exact vehicle that I was looking for. Other dealers in the area were unable to come up with a short cab, long bed, pickup with a diesel suitable for towing a 5th wheel RV. It was great and I love my C-Max. Great experience. I visited other ford dealerships in the area, including a dealership representing costco and their program, returned to butler not only for the best deal but also for the no pressure attitude of the salesman. We (my wife and I) intend to return to Butler for further instructions on understanding the features and and most economical way to drive the Cmax. Thank you for everything. Will be buying a car here in the future. Outstanding treatment thru the entire sales process! Our service was excellent. I appreciate the use of a clean, complementary loaner vehicle as our service took all day. As a repeat customer at Butler Ford, I knew what to expect, excellent customer service with a smile on their face. And they delivered!!! Looking forward to enjoying the new F-150 for several years. Our salesman was professional and personable. We felt positive about the experience. We got a fantastic vehicle at a good price. I have bought my last 4 cars at Butler Ford, starting in 2000. My salesman, Mike Cocchiara, is always friendly and helpful, and goes out of his way to make my experience enjoyable. I love that they don’t pressure you, the atmosphere is relaxed, and they are knowledgable about the product. I love Fords, and I will keep coming back to Butler, even if I live up north. It’s a great place. Rex was amazing, answered all my questions, walked me through the truck step by step. Couldn’t ask for anything else. Richard and Paul are great. They place the customer first and foremost in their dealings. They have a wonderful sense of humor and are straight forward in their answers. It is always a pleasure to work with them. Very professional in their dealing with us, always courteous, low key and never did we sense any undue pressure. Their customer service was above par. They did everything they could to make sure I had a great experience. It was also a very low pressure purchasing experience. My appointment was kept on time and the work done in a timely manner. I had an oil change and safety inspection. I was debriefed about the safety inspection in a professional manner. Great selling experiance, very professional. It exceeded our expectations. Very knowledgeable employees, no pressure sales, competitive pricing. This is a “neighborhood” dealership that has a good understanding of the region’s needs. I’ve bought a number of new cars but this was my most positive experience. [They] always treat me well. There’s never any pressure from a salesman and they’re happy to answer my questions. Great! Easy and efficient. It was my first oil change. I am very happy with the car and have visited this dealership before with my Acura. It’s always exceptionally friendly and service oriented – that’s why I bought my c-max there. Good service provided by all involved in the transaction. I have transacted a lot of business with the Butler Auto Group over the years. My last purchase (like those before) was exceptionally easy and smooth. They had the exact vehicle I wanted in stock and provided me with excellent guidance and insight throughout the experience. The staff really knows the product and made very sound recommendations to me. They provided me with several financing options and helped me to settle in on the finance package that best suited my needs. The staff at this dealership has a lot of passion for the product they represent and even more passion for their customers. That passion and enthusiasm comes across when you are working with these guys. Buying a vehicle shouldn’t have to be a frustrating and time consuming experience. These guys get that! I’m already looking forward to my next one! Rex Cunningham is a great salesperson. Thank you for the great experience. Very pleased with Butler Ford. This is my second car I bought from them [and] all my service [is] done there. They have been great. It was a pleasure to deal with Rocky at Butler Ford. He was veryu helpful and took the time to make sure everything was in order for me to take my new car home. Butler Ford stood by the certified pre-owned warranty when I discovered a problem with the brakes. They have been nothing but fantastic in [the] sales and service departments. One of the best salesmen, Mike Cocchiara. He always greets us when he sees us come in for service and makes sure all of our needs are met. The service personnel are all courteous and helpful. Best Ford dealer we have had, and we have had many. Just wanted you folks to know that I continue to receive outstanding service from Paul, and today Richard, as well. They have been exceptional. My experience was great! Everyone went out of their way to ensure I was both pleased with my lease and that I was made familiar with my vehicle’s functions. I was treated with courtesy throughout my time at the dealership and during follow up phone calls to ensure my satisfaction. Overall, I was very pleased with my experience at Butler and will certainly recommend Butler to everyone I know. Thank you for making this experience so rewarding! Service advisor Paul was best I have ever found. Went way out of his way to help me get my truck back on the road! The sales staff was great, the sales manager personally took us under his wing to make sure we got the truck we wanted and were taken care of, the finance office made the purchase a great experience and quick. Thank you, Ford and Butler Group. Great team at Butler Ford! Great product, great company to do business with! We had another wonderful experience with our Butler purchase. We visited just to look, and hdad no intention of the purchase this afternoon. However, with Joel and Rocky, and a no-pressure presentation, we closed the deal and Nancy is one happy camper!!!!! We also got to meet Summer who accomplished getting me through the paperwork which I detest in the first place. If I were younger, and going into a business that required marketing and PR skills you would hate me for trying to hire all three of them. We wanted you to know what a pleasant experience we had. They listened to my needs and got me what I wanted. First rate! I would recommend this dealership for auto purchase & service! Best dealer experience I’ve ever had! Rocky was very friendly and personable and went to great effort to find a vehicle that would meet our needs and even exceed them by supplying a better vehicle for the same price than what we initially had planned for. Service was great. Butler is the best dealer I’ve ever dealt with. Great sales staff at Butler Ford. This was the best vehicle purchase I’ve ever experienced! I have been dealing with Butler Ford for 18 years and would not go anywhere else. They have always taken care of me and my vehicles with great care. Every aspect of the buying experience was above and beyond my expectations. All of the staff treated me and my wife with respect. Our salesperson, Rocky Moore, made us feel comfortable, answering our questions and explaining each item, going as far as matching our cell phones to the Blue Tooth. I will definitely recommend Butler Ford to my friends and family. Had a wonderful time working with Mike Cocchiara! Buying a truck at Butler Ford was a great experience. Rocky Moore was our sales person and he was helpful and knowledgable. We love our truck! Staff in the service department were great. I went there from out of town and they got my Ranger serviced and got me on my way in a very short amount of time. Our salesman, Rex, was extremely knowledgable and helpful. One of my best car buying experiences! The folks at Butler Ford absolutely took care of everything I needed and they went out of their way to make this a great buying experience! Service was great and they let me watch the end of the SF Giants playoff game. GREAT. Rocky did a very good job making sure we were informed and happy with the purchase. He’s a credit to Butler Ford. Butler is the best! Butler is the best! Excellent! Very courteous and efficient. This was our best car buying experience ever. We truly appreciate the efforts of Rocky Moore to get us exactly what we wanted. Thanks! I was met at the front door and was welcomed by a friendly sales person [who] was very helpful. Great staff, service, and prompt. Always available for questions. The process could not have been any smoother. Mike C. was phenomenally knowledgeable and helpful. Can’t say enough how great Butler is to work with. They are my “go-to” guys! Couldn’t have had a better experience. A+++ for the entire Butler team! [It is] great doing business with the Butler Ford Service Department. This is the second new vehicle that I bought from Butler in the last 3 years. I like your product. The sales staff was very friendly and helpful. We didn’t realize how good a deal we were being offered until after the purchase. I think we got the last 2011 Ranger in the state of Oregon and Northern California. We found USED 2011’s asking more than we paid for ours. We’re very pleased. I have never had or wanted a Ford. My son-in-law works at Butler… he talked me into it. I LOVE my fully loaded Hybrid Ford Fusion! My F-250 was in for performance related work when it was discovered that the rear differential was shot. To make a long story short… all of this caused my blood pressure to elevate because I had to leave with my 5th wheel by early Wednesday a.m. for my niece’s wedding. Good ole Mr. Bennett and his sidekick, Paul, got it done in time and I picked it up at 6:00 p.m. the night before departure day. I’m writing because I couldn’t be happier with the way Richard Bennett dealt with my very stressful situation. He was polite, professional and true to his word. I just wanted you to know you have an outstanding employee in Richard Bennet and an excellent service department because of him!! An extremely pleasant & professional experience. I would highly recommend Butler Ford to anyone shopping for a new or previously owned vehicle. The service is exceptional. I have been a Ford man all my life… As far as I’m concerned I would never buy any other truck… It’s a Ford or nothing and, as soon as my truck is paid for, I will be buying a Mustang. Keep up all the great work at FORD! This is the third new car I have bought from Butler Ford. I will not buy a car from any other dealership. I drive 110 miles just to deal with Butler Ford and their salesman, Rocky. I have had a great sales experience. Thank you for making a new key for me. I love our (Ford) Ranger! Great doing business with the Butler Ford Service Department. Rocky (Moore, sales consultant) was awesome! We have bought two Frods from Butler. If we buy another car it will be from Butler. Great people – willing to listen and assist in any way they can to complete the service in a satisfactory manner. Honestly the best. I was shocked by the genuine sincerity and professionalism. It was honestly like buying something from your own family (who likes you). P.S. I’ve been a Chevy man all my life (every vehicle) and I absolutely love this Ford! I am more than happy to drive over 20 miles away to Butler Ford so that I can have the experience of using their wonderful service department. I trust their service advisers and their technicians to properly service and repair my vehicle for years to come. Butler Ford’s people went out of their way to make sure we received the Ford we wanted. Mike [Cocchiara] went above and beyond the call to get me into my new favorite vehicle. Along with the team, it was a most pleasant experience in purchasing a vehicle. Mike is probably the perfect example of a sales person in the motor vehicle industry and many more people could take some lessons from him. Great job, Mike, and than you! If I had the money I would offer to buy the dealership and keep all of the employees. Rex Cunningham and Mike Cocchiara were excellent salesmen. They were extremely helpful and made sure we understood every detail. Joel (Butler Ford Sales Manager) was excellent, too. we would highly recommend Butler Ford. Butler did a great job. 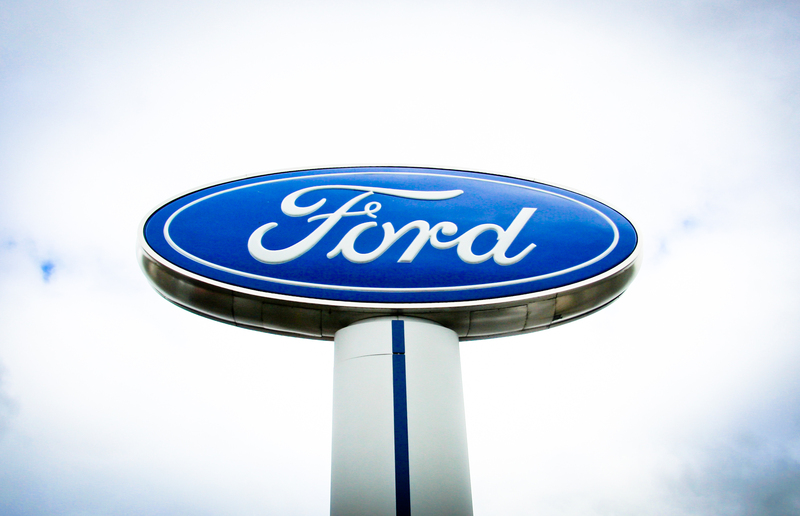 We would not buy a Ford from any other dealer. That is how happy we are. The people at Butler Ford made me feel at home as soon as we walked in the door, and through the whole process we were not pressured at all. My experience at Butler Ford was exemplary. I was a committed customer of a neighboring dealer until I returned to purchase a second and third vehicle. I was accosted at my truck before I got out, was treated like a fish in a net, and lied to. I won’t return to either dealer. [At Butler Ford] I explained how I wanted to be treated and how I buy trucks, and what I wanted. I got all I asked for and the dealer got a sale. The sales rep, Mike Cocchiara, was great. I couldn’t be more pleased. Thanks. e of preference for vehicle maintenance or to purchase a new vehicle because they are the best! Thank you. Thanks to the excellent help from Mike Cocchiara this was a great experience. He showed a real interest in what we wanted and is very knowledgable about the vehicle we bought. We had to order a vehicle and he kept us well informed during this process. I don’t think they come any better than Mike. Our sales person Mike Cocchiara was extremely helpful to us and went beyond his job to accomodate our situation. He kept us informed on the progress – when the car was being built and time of delivery. We have never had a salesman so good or caring to ur situation. This is our second Ford purchase from Butler. They provide excellent customer service. So far above purchases in the past it was actually a pleasant experience. [Butler Ford] made it totally my decision, which was unheard of in my past experiences with GM. The staff at Butler are great! Rich and Paul make me feel at home. I can trust their opinions and feel comfortable referring family and friends to them. Keep up the great work, Butler Service Department! The initial vehicle purchased had a factory quirk. We returned the following day and our salesman, Rocky Moore, did an outstanding job resolving the problem with another vehicle. Both my husband and I found Rocky’s personable service approach to be welcoming, unhurried and pleasant. We’d been to other dealerships in the week prior to our purchase and found the temperments of salesmen elsewhere to be barely tolerable. Neither my husband not I owned a Ford in 30 years, so it took someone special like Rocky to gain and sustain our interest and trust in Ford. Rocky was our salesman at Butler Ford and he did a great job. We really enjoyed working with him. Much better experience than I have had with other dealerships. Very professional, no games, I was treated with courtesy and respect. I am perfectly happy with Butler Ford and their service department. You can be proud to have a salesman like Rocky Moore. I appreciate Rocky’s personal attention to detail. He’s not pushy, just gets me what I need. We would like to thank you for working with us. It was a pleasure doing business with you. You all worked very hard to sell us a vehicle even when we had some major bumps in the road. We liked the experience we had. Dear Warren, I just want to thank you so much for “going to bat” for us in getting the company to pay for the work performed on our pickup. We have had problems with the turbo before and even had to have it replaced earlier, so felt strongly that Ford or our Platinum Extender Warranty should cover this repair. Because of your efforts, Warren, you were able to get Ford to pay these costs, and we really appreciate your time and extra phone calls. I was most impressed with my salesman, Rocky Moore, and manager, Joel Nickerson. They found what I wanted and [with] the right price, very fast. Very good buying experience, great guys. The Ford Service Manager was very nice. This was an excellent experience. Good people to work with. Honest and straightforward. We appreciate the service and professional attention Rocky Moore gave us during the entire purchasing experience. Rocky and crew did a great job, Thank you very much. [I] was treated like an old friend by the staff that worked at Butler Ford. Everyone is so friendly. It’s a pleasure to get the oil changed. Thank you to all involved. Paul (Welch) and Richard (Bennett) treated me with much care and ocncern. Will always take our Fords to Butler Ford. Mike (Cocchiara, sales consultant) and his coworkers did everything in their power to locate me the 2012 Focus that I was wanting to purchase. At their final suggestion I ordered my Titanium through them. I had looked at the Ford.com website and had fully decided on the options that I wanted and Mike was fully able to make it happen for me. Thanks to the Butler crew. I love the staff – they are very thorough and I trust them to be honest with me and do what’s best for me and my vehicle. Mike (Cocchiara, sales consultant) picked me up on the day of delivery. That was great, and greatly appreciated. He took time with me and never felt rushed. I was very happy with the service that the salesperson, Rocky, provided. He was very helpful in getting me the information I needed to buy this car. Butler Ford and Rocky Moore made buying my new car a great experience, just as it was 15 years ago when we bought my Aspire from them. Which is why we returned to them to purchase this new vehicle. They are very helpful and courteous. These guys, Joel, Jon and Rick, were just the best… the truck purchase was the best I have ever had… in fact, I wish I needed another truck so I could do it all over again… this is not a paid response… just terrific, Butler is! Easy deal, good price, no hassle, 2011 Fiesta. Absolutely nothing to complain about. Good experience for me. Rocky Moore (sales consultant) was helpful, professional and thorough. A very positive attitude. We have already recommended him to friends. The best sales, finance, and service. Wonderful team. It was a pleasure each time I was at the dealership. Great communication. It is a pleasure to bring my 2009 Super Duty in for service. I knew right away they were being honest with me and they made me feel confident in my purchase knowing that I got the best possible deal I could have. I could not have imagined an easier or better experience buying a car. I used to dread the thought of it. Those guys made me feel like I was family. And by the way, I went into Butler Ford to buy a pickup truck and I still cannot believe how amazing this F-150 is. It’s not just a pickup truck, it’s by far the nicest vehicle I have ever owned in every way, from the ride to the cornering abilities to the brakes, and it even gets good gas mileage, and the list goes on. It seems that I am pleasantly surprised every time I get in and discover something new. Rocky (sales consultant at Butler Ford/Acura), Gary (Butler Ford service manager) and Coach (sales consultant at Butler Ford/Acura) were the best! They went above and beyond making sure we were happy customers when leaving the lot! They were very honest with me and my husband, and respectful. I’ve dealt with a lot of car salesmen over the years and I couldn’t ask for any better! It was like dealing with family members and close friends…very trustworthy, which is an A+ in my book! Absolutely loved these guys! Great staff, courteous, knowledgeable suggestions for “add on” servicing and parts based on diagnosis of auto’s operations; shuttle service efficient, waiting area comfortable with free coffee. Always used Ford but this one is the best dealership service yet! Rocky (sales consultant) was very helpful and the financing options were explained well. Everyone at Butler was very helpful. One of the best buying experiences – no pressure, but lots of reassurances regarding any concerns I had. Mike Cocchiara (sales consultant) is excellent at what he does, as is Gary in Service. This purchase was our 4th Ford from Butler. Mike Cocchiara was a perfect match for us and made the purchase process a pleasant experience. They are honest. If we buy another car it will be a Ford at Butler. P.S. We also own a Fusion Hybrid from Butler. I highly commend Gary Neal, the Service Manager at Butler Ford in Ashland, Oregon. His performance and professionalism far surpass any service representative at any other dealership in my many automotive experiences. Excellent sales personnel. [They] were extremely personable and knowledgeable. Gary (Butler Ford Service Manager, Gary Neal) is terrific. He always washes our car before returning it and walks the extra mile. He is the best. Very easy and in and out in no time. The sales people were great and very good at explaining everything to me. [I] enjoyed working with Rocky (Moore, sales consultant at Butler Ford/Acura). Everything went smoothly and Butler acted as though they cared about me as a customer. Thanks, Butler! Butler Ford – You have outdone yourselves! On May 2nd Butler ford held an event through Ford Motor Company and helped raise $6,000 for the Ashland High School Football team! Thank You Butler Ford…you have always been so generous to the community! “*****” (five stars for Butler Ford) “” I have had dealings with about 10 different car dealerships in Jackson County and Butler Auto Group is by far THE BEST CAR DEALER in Jackson County. I cannot express how good they have been to me and I only bought a used car. Go see the guys at either location (Medford or Ashland) they will treat you the way you want to be treated when buying a car. I have had many years of renting from Butler Ford. The price is competitive, but the service is better. They try to accommodate requests, cars are ready when they are promised, clean and I have never had one break down- which I cannot say is true about other car rental agencies. Friendly service, efficient- who could ask for more!! I rent a car to get on the road and be worry free- I know I can count on Butler Ford! Best Ford Dealer in Southern Oregon: We went to Crater Lake Ford in Medford, wandered around for 20 minutes, no one even came out to help us at all….WILL NEVER GO BACK, Butler’s guys took care of us fast and fairly, will buy many more there in the future!!!! I was looking for the Perfect Truck….Went to a couple other dealerships in the area and was not treated kindly. The second I went to BUTLER I was greeted quickly with a smile and well taken care of from that point on. They put out tons of effort to find me EXACTLY what I wanted! THANK YOU SO MUCH BUTLER! YOU ROCK!!!! I have purchased several new cars from Butler and I was always very happy with the sales and service staff. Two months ago I purchased a 2001 SS Camaro from Butler. It had been many many years since I had purchased a used car but since GM doesn’t make F-Body cars anymore I jumped at buying such a nice used SS Z28. Butler fully disclosed the car’s repair history before the purchase. I found a minor issue with the car. My sales person, Mike C. picked the car up at my business in Medford and had it repaired in Ashland and then returned it to me the same day. Great prices, great people and great service. My advise on buying a new Ford or clean used car…DRIVE PAST THE MEDFORD FORD DEALERSHIP AND GO STRAIGHT TO BUTLER FORD IN ASHLAND! Tell them Dana Fish said hi and that I love my car! Mike and Joel, I like the new truck more every day. I wanted to thank both of you for working with me to make it possible. My last experience at a dealership felt like a two hour arm wrestling match… my experience with you guys was anything but. That is the way buying a vehicle should be. You are both pros and I was fortunate to have the opportunity to work with you. This was a relatively big purchase in my little world, and I appreciate your honesty and transparency very much as it helped put me at ease. I only wish that you were closer so I could continue to deal with a firm of Butler’s caliber on a regular basis. Thanks again for everything.